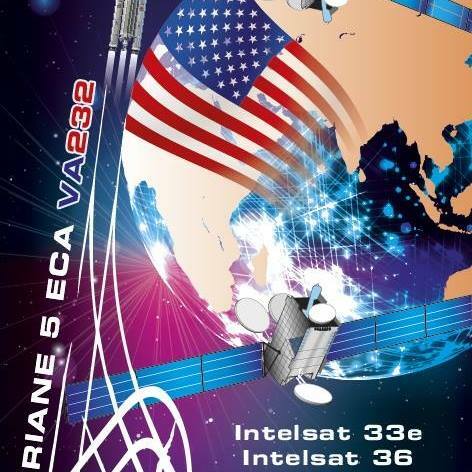 Intelsat 36 is the smaller of two Intelsat communications satellites launching in August 2016 on an Ariane 5 rocket in a rare dual-payload launch where both satellites are operated by the same company. 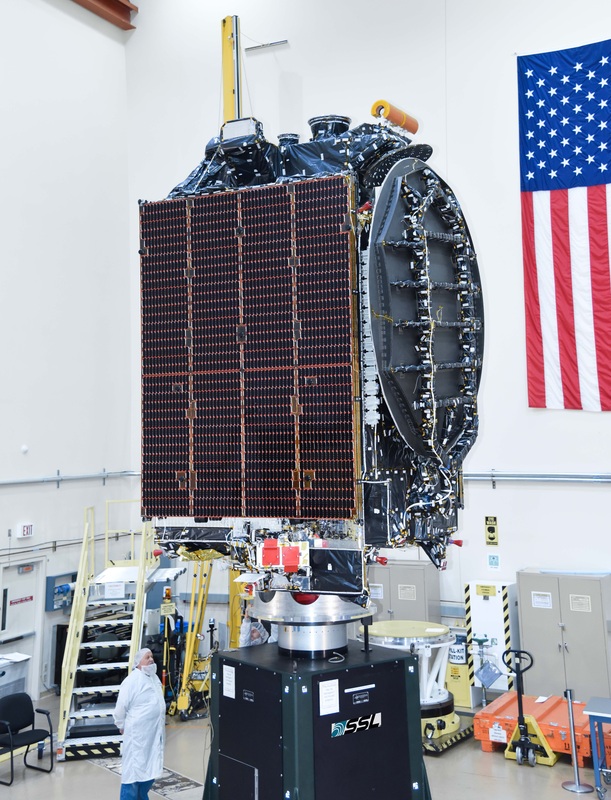 Intelsat ordered the IS-36 satellite from Space Systems/Loral in August 2014 based on the well-proven SSL-1300 satellite platform, to be outfitted with a hybrid C/Ku-Band payload to reinforce Intelsat’s media and content distribution capacity. 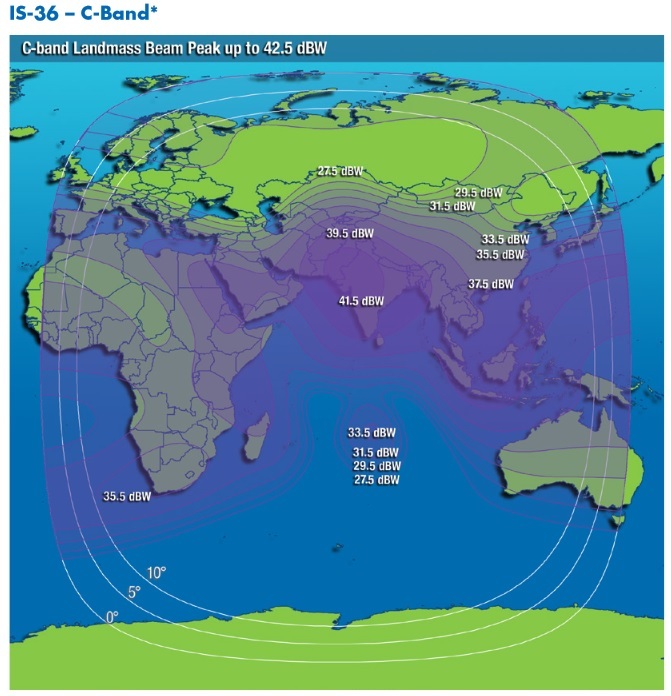 Operating from 68.5° East in a position over the Indian Ocean, Intelsat 36 will be co-located with the Intelsat 20 satellite to provide additional coverage from Intelsat’s premier Direct-To-Home (DTH) neighborhood in Africa. The Ku-Band payload, comprised of 30 transponders, is utilized by MultiChoice – a leading pay TV provider in Africa – to deliver TV services to Sub-Saharan Africa. Ten C-Band transponders are available for customers using this video neighborhood from where coverage to African and South Asian cable communities is possible. The C-Band transponders operate at a downlink frequency band of 3700 to 3900 MHz while uplink is accomplished at 5925 – 6215 MHz. The 3,253-Kilogram Intelsat 36 satellite is based on the LS-1300 satellite bus. LS-1300 is a flexible satellite platform that can be flown in different configurations to accommodate different communication payloads with a total power of 5 to 20kW. Using different configurations, LS-1300 satellites can weigh from 2,200 up to 6,700 Kilograms featuring payloads of 12 to 150 transponders. LS-1300 was introduced in the late 1980s, but undergoes constant modifications going through a number of revisions over the years. 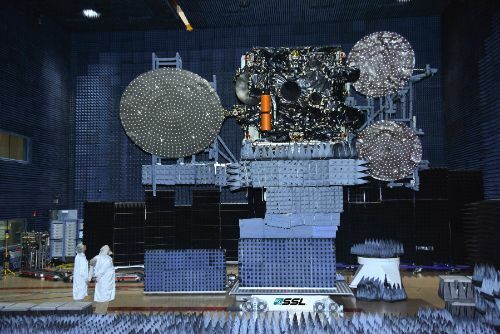 Intelsat 36 is 5.2 by 3.1 by 3.4 meters in size. 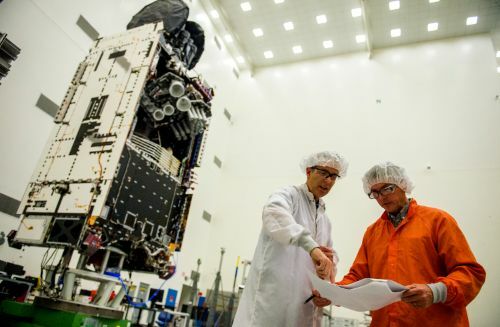 As a low-power configuration of LS-1300, Intelsat 36 uses two solar arrays, each with three panels that deliver power to a dedicated system that conditions the satellite’s power bus and controls the state of charge of the vehicle’s batteries. Three-axis stabilization and navigation is accomplished by state of the art navigation sensors and reaction wheels. The satellite is equipped with a chemical propulsion system for orbit-raising and stationkeeping using an R-4D main engine and a series of attitude control thrusters. LS-1300 also provides the option of an additional electric propulsion system, whether this option is exercised for Intelsat 36 is not known.